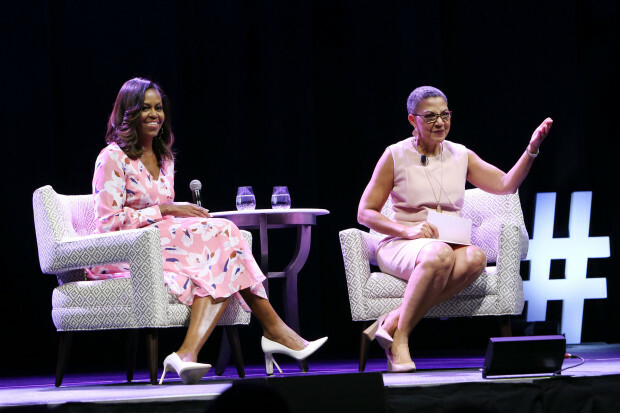 DENVER, CO – JULY 25: Former First Lady Michelle Obama speaks during a live conversation with The Women’s Foundation of Colorado President and CEO Lauren Y. Casteel at Pepsi Center on July 25, 2017 in Denver, Colorado. 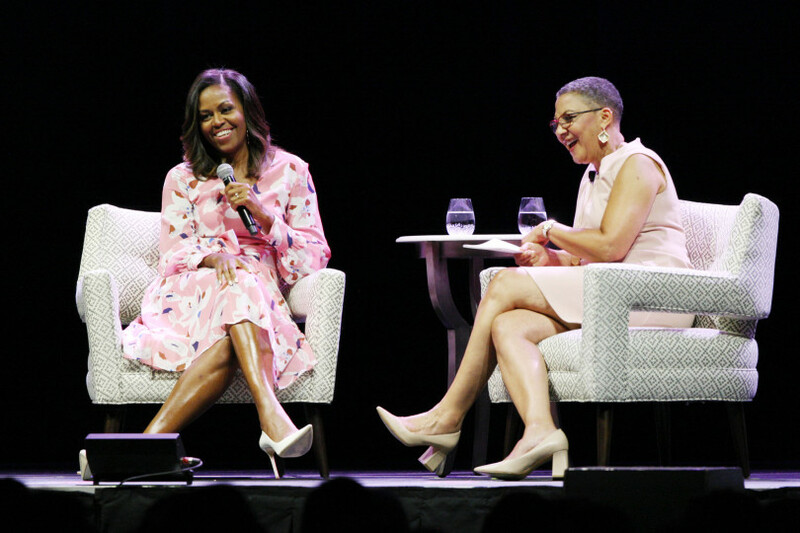 *Michelle Obama appeared before a crowd of about 8,500 at the Women’s Foundation of Colorado’s 30th anniversary event in Denver to discuss her experience as America’s first black first lady. 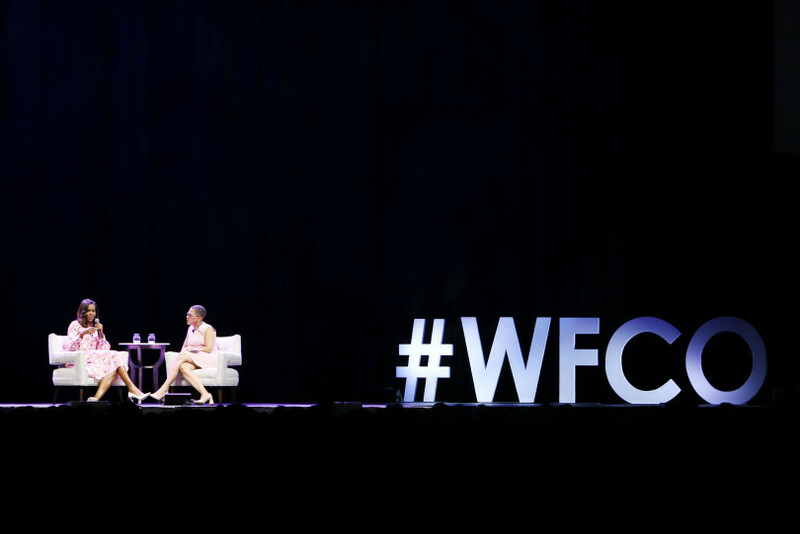 She was interviewed Tuesday by WFCO President and CEO Lauren Casteel at the Pepsi Center ― the same venue where she addressed thousands at the 2008 Democratic National Convention. Casteel asked which of the falling glass shards cut the deepest, according to the Denver Post. The former first lady endured a barrage of racist insults while her husband, former President Barack Obama, was in office, including the “ape in heels” comment made by two West Virginia officials who lost their jobs over the Facebook comment celebrating Donald Trump’s 2016 election victory. In Denver, the Post added, Obama said that she doesn’t pretend such vicious attacks don’t hurt her, because it lets those doing the hurting off the hook.